Looks like the perfect kitchen, right? Are you thinking “my kitchen will never look like that”? Honestly, I’m not sure whose kitchen actually looks like this everyday if they cook! In my efforts to de-clutter the kitchen, I have learned one very important rule: tools that work together should live together. Most food prep begins with washing and cutting, right? 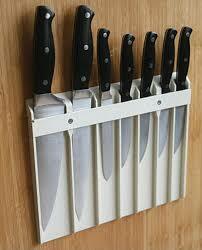 So, all the tools you need for slicing, chopping, and cutting, should be close. 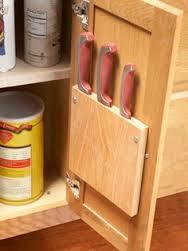 Here are some great ideas for storing those knives and it gets that wood block off the counter where there is VERY little space. 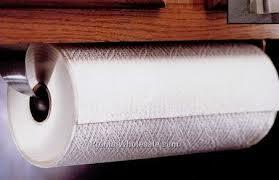 Hang a paper towel dispenser on the wall or beneath a cabinet to save space. To encourage hand washing and hygiene, decant liquid hand washing soap into a pretty pump dispenser and assign it a home next to the sink. 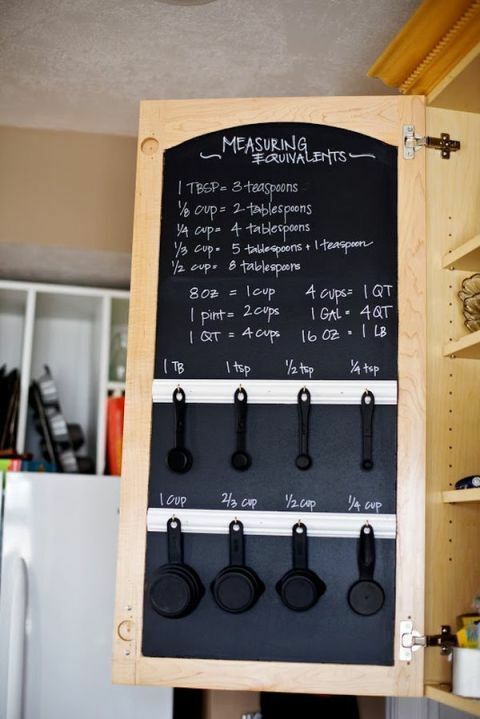 How about those measuring spoons you are always hunting for? 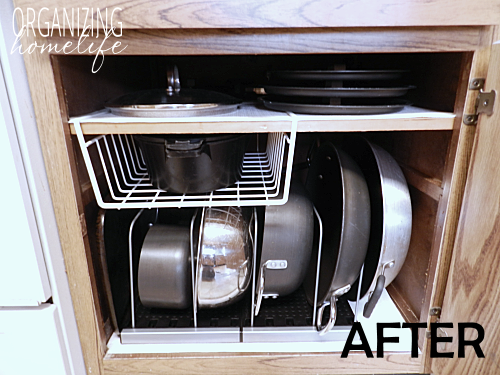 I am grateful for my under-stove drawer that let’s me store those often used pans. 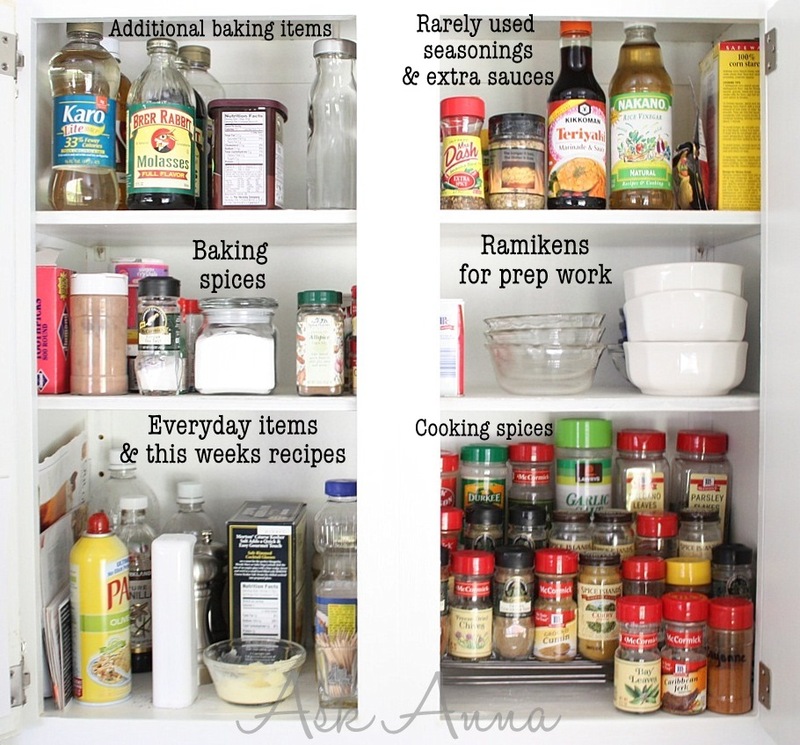 Herbs and spices need to be conveniently located for easy seasoning, but make sure they are in a cool place: they’ll lose their savor stored under hot conditions. Keep cereal, snacks and unbreakable dishes into spot for the kids. 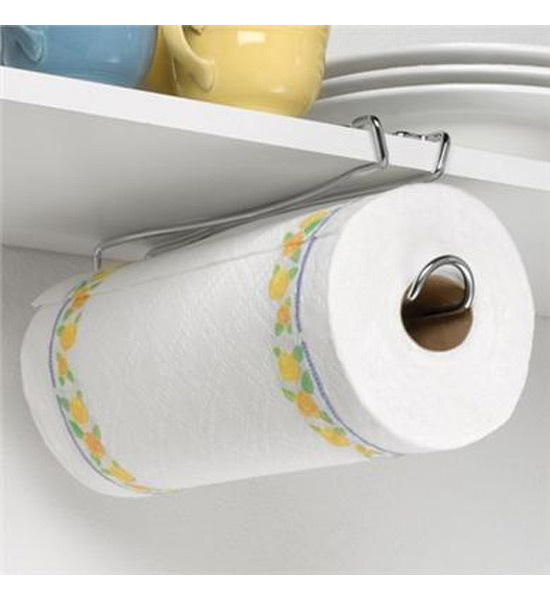 Place items on a low shelf for easy reach. 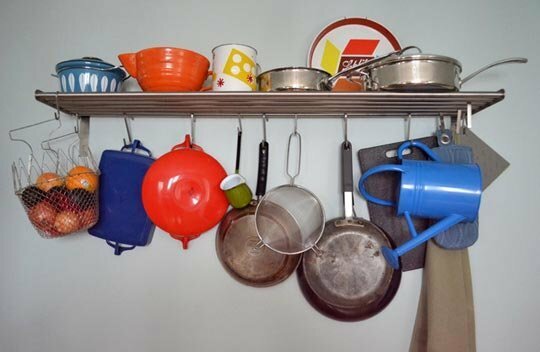 Keep seldom-used serving dishes in the way-back of the cabinet shelf, while plates and soup bowls enjoy the shelf front. My nemesis is those plastic food storage containers. You can keep them nested and handy. Corral lids separately in a basket to prevent fallout.